Bhubaneswar:2/7/18; To mark the Tree Plantation Day, as many as 40 lakh saplings will be planted in various parts of Odisha on July 7. 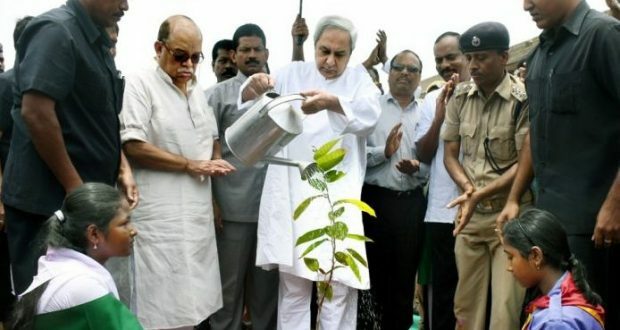 Announcing this on Monday, Chief Minister Naveen Patnaik said people from all walks of life will participate in the plantation drive. “Trees are the soul of the nature. By cutting trees, we destroy the nature. 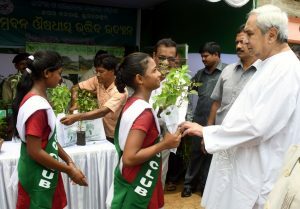 It is our responsibility to protect trees,” he said while attending the 69th state-level Bana Mahostav at Patrapada-Bhagabanpur High school here. The chief minister congratulated the employees of Forest department for their efforts to increase the forest cover by 2,500 sq km in the last 10 years. Naveen advised all to take care of trees as family members. He also planted a tree on the school premises. The chief minister felicitated Baliput Bana Suraksha Samiti of Ganjam and Oram-Nikitimala Bana Suraksha Samiti of Sambalpur with Biju Patnaik award for their contribution towards conservation and protection of forest.